After the War of Rage, it was rumored that the Nagah, the wereserpent judges of the shapeshifters, had been slaughtered to extinction. Likewise, no one dared venture beneath the waves to see if the Rokea weresharks still lived. The two Breeds were mourned and forgotten, but their survivors were wrong. In the rivers, oceans and swamps, the dead are very much alive. 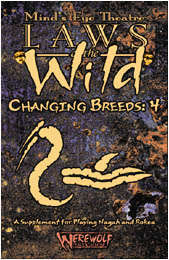 Changing Breeds Book Four has all the information players and Storytellers could want about the creatures who defend Gaias waters - the mysterious Nagah wereserpents and the ferocious Rokea weresharks. 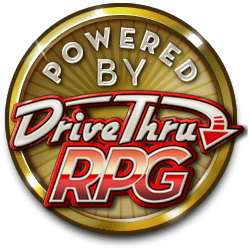 Patterned after the other Changing Breeds Books and completing the set, here is the place to create player and Storyteller characters alike - from origins and history to character creation, Gifts, fetishes and more. Who knows whatother secrets lie in the depths? This title was added to our catalog on June 08, 2004.